As an ID, 'Keep It Comin' has already received support from The Magician, Oliver Heldens, Bakermat, Don Diablo, Chocolate Puma, Klingande, Robin Schulz, Nore En Pure, Chris Lake and plenty more. However, the real payoff came when Danny Howard recently took to the airwaves to reveal the artiste to be Northern Ireland's Junior J live on BBC Radio 1's Dance Anthems show. 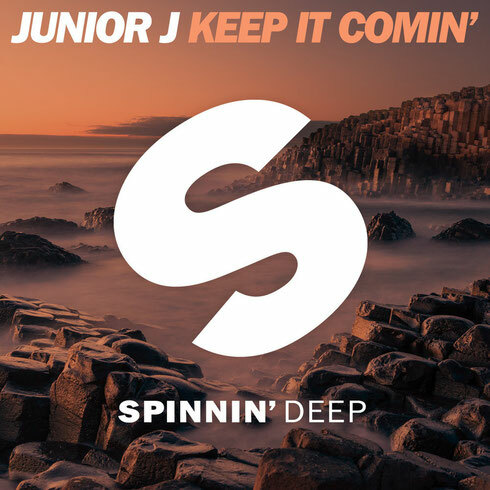 Now, with the track due to be released by Spinnin Deep on 25 January, Junior J's world may well about to be flipped upside down in the biggest event of his career to date. A re-work C&C Music Factory's 1992 track 'Music Is My Life', he takes the finest elements of house music and puts them to work in what is a very catchy tune. A remedy for the dark winter days, 'Keep It Comin' brings serious summer vibes from the off, fusing Deborah Cooper's vocals with bells, bass and a top melody. We’re liking this a lot, check it out below.